We are reliving some of my childhood memories this summer. 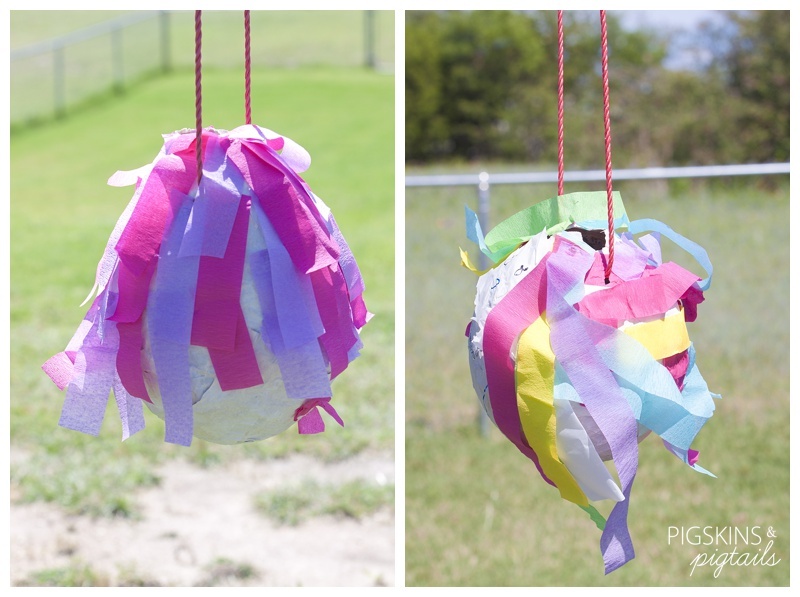 One project I remember doing with my brothers is piñata making. At 4 and 6 years old, my girls had no problem doing this project all on their own. Granite, we made a pretty big mess, but it was worth it to see their excitement when they got to smash open their own piñata creation. Step One: Tear newspaper into strips. About 2 inches in width is ideal, but I just let them tear it however they wanted. Step 2: In a container, mix flour and water. Yep, that’s it! Add water until it is a little thinner than paste consistency. 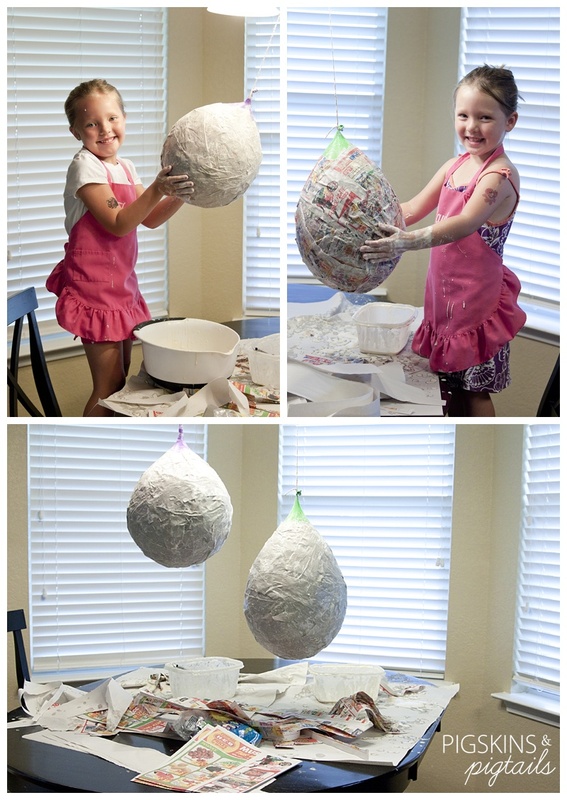 Step 3: Blow up a balloon to the size that you want your piñata. Step 4: Dip your strips of newspaper into the mixture, getting off the excess with your fingers. 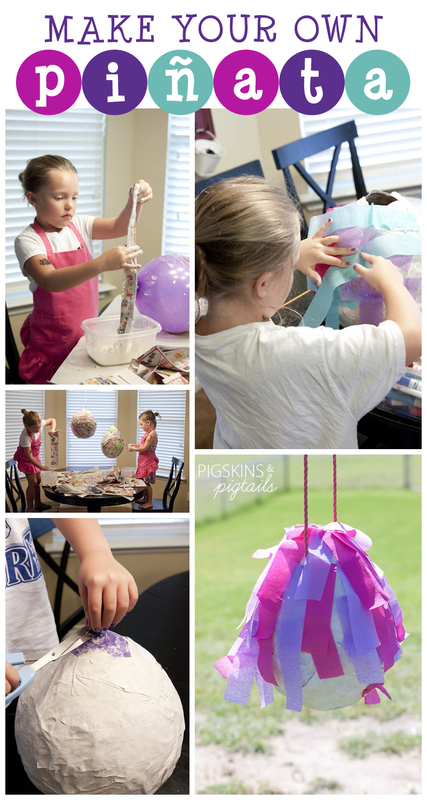 Lay the coated strips over your balloon. You’ll want to cover the balloon completely. 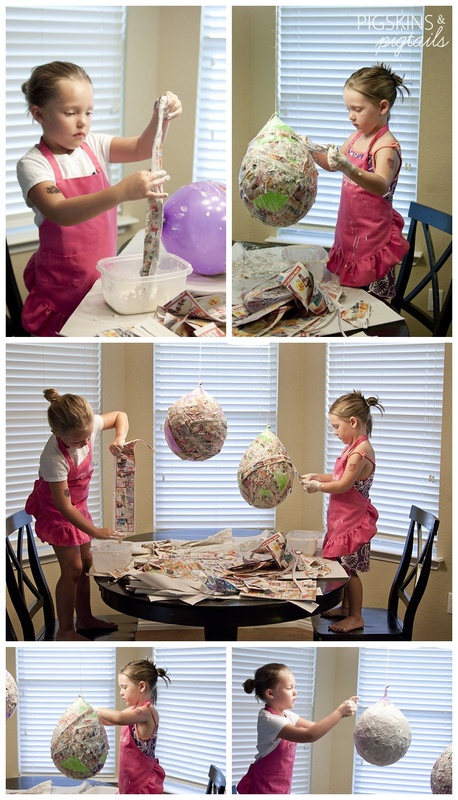 We started with the balloons on the table and ended up hanging them so it was easier to work with (this also helped with the drying process). The more layers of paper you add, the harder it will be to break open. We did about 3 layers. The last layer, we used some thin packing paper so it would hide the newspaper print in case they want to color on the piñata. 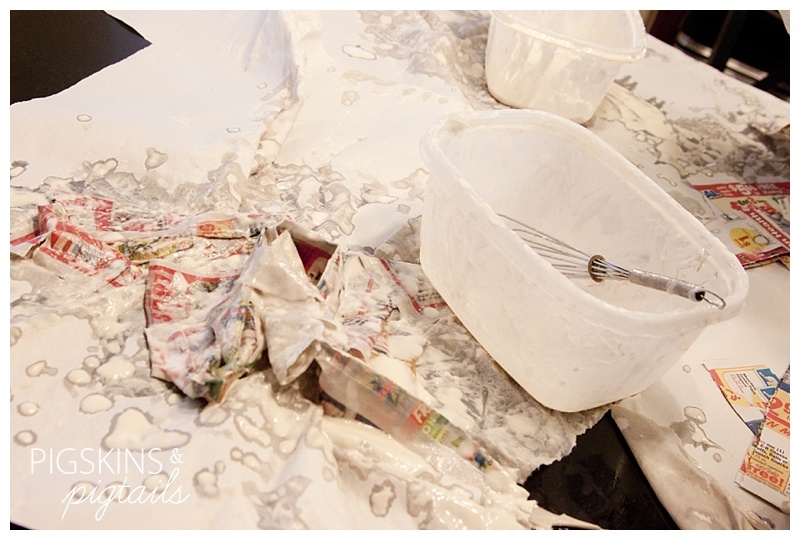 This is definitely a messy activity…. Step 5: Let it dry. This was the hardest part for the girls. We let it dry overnight. It probably needed 2 days to dry (they used a lot of paste on the newspaper. Thinner coats would dry much faster. We sped up the drying process a little the next day by using a hair dryer. 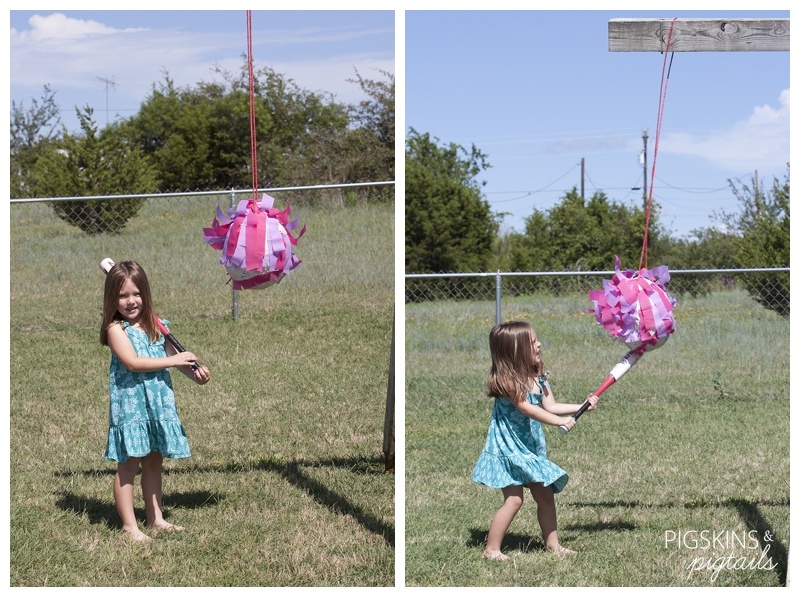 Step 6: Pop the balloon. Step 7: Decorate! We used streamers but the decorating possibilities are endless! Step 8: Fill with candy and break it open. I didn’t let them see the candy and small toys that I got to put inside, so there was some element of surprise when they broke them open. Best part – they each got to hit as many times as they wanted and break it open all by themselves. They were so proud of their finished product. 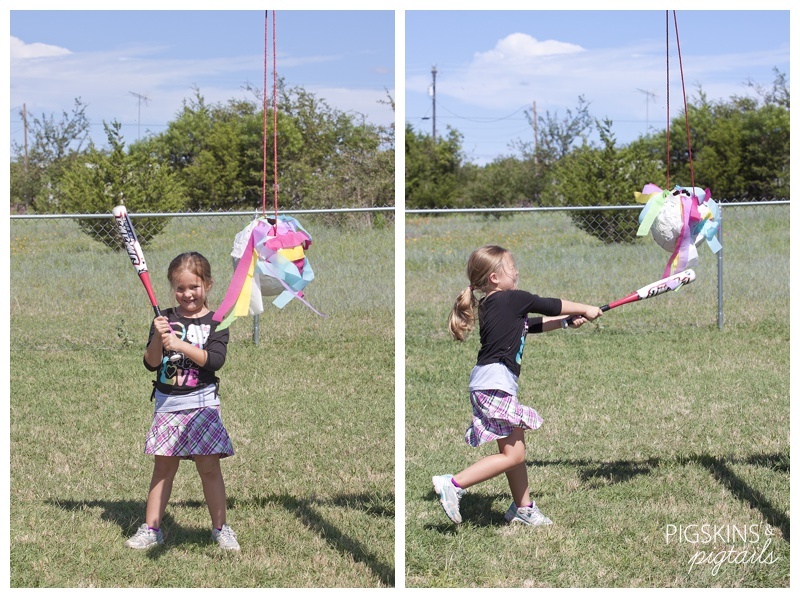 The excitement of breaking into your very own piñata was priceless!